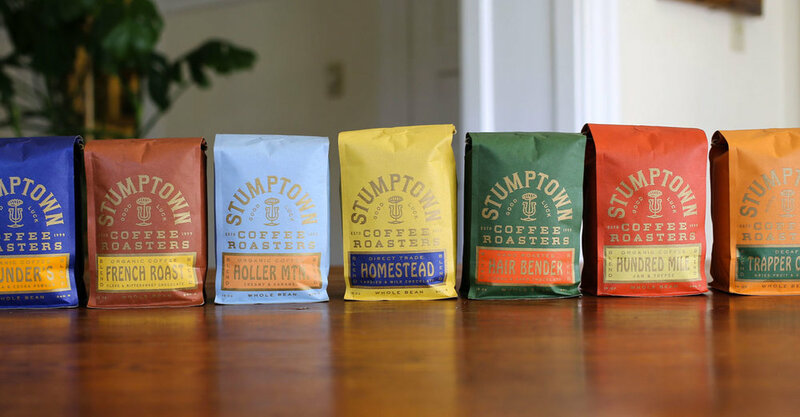 I noticed these bags the other week (in a slightly less colorful variety) at the Ace Hotel NY Stumptown and wondered what was behind the change. It turns out that these new coffee bags are 95% biodegradable. These new bags are made of something called Biotre from a company called Pacific Bag Incorporated who are committed to environmentally sustainable practices. They are the best in the business and these bags are about 95% biodegradable (everything except the tie and the valve) and are made primarily of renewable wood pulp.